Thinking of Khaled al-Asaad who loved this place and died protecting it from the deluded followers of Islamic State and their twisted , obscene take on Islam. Although to late to save his life and the ancient sites he loved and studied – hopefully he will be looking down from heaven and rejoicing at its recapture and the news that the damage was not as great as first thought. Rest in peace Khaled – Now with those you loved and studied. 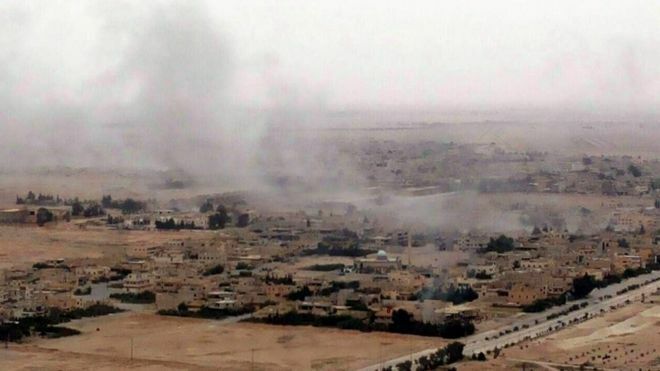 The retaking of Palmyra by the Syrian army ends 10 months of occupation by the so-called Islamic State (IS). It is an important step in the containment and eventual defeat of the jihadist group that has seized swathes of Syria and Iraq.